Remember that Gambit movie that was supposed to star Channing Tatum? Despite all of the production troubles the project has faced, Fox is reportedly still trying to get it going and looks to possibly film the movie next year just ahead of when the Disney merger is supposed to be finalized. This is just a rumor for the time being, but it sounds like Fox isn’t simply content to let this one die. 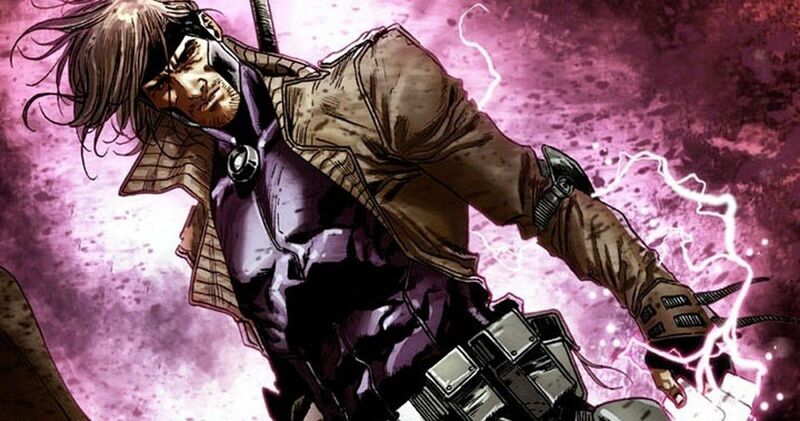 According to a new report, Fox is hoping to shoot Gambit in New Orleans starting in February. They had previously hired quite a few crew members for the project back when Gore Verbinski was going to direct. However, this report states that the studio has wiped the slate clean and will bring in a new crew, assuming they actually do manage to get production up and running. As for the director? Nobody has been announced yet, but producer Simon Kinberg said over the summer they were on the lookout and were hoping to choose someone soon. At the time, they were still hoping to get the movie in front of cameras before year’s end. This movie has been through the ringer and has spent an awfully long time in development hell. Channing Tatum more or less willed it into existence, given his star power and desire to portray the card-throwing Cajun mutant. Several directors have come and gone, with several drafts of the screenplay being written over the years. The studio has put a lot of time and resources into Gambit and, even though Disney has their plans for the X-Men once the merger is complete, Fox has to operate as though it’s business as usual to some degree until the deal is done. As we previously reported, the plan is for Disney to release all of Fox’s movie projects that are either completed or in production once the merger goes through. It’s expected that everything will be finalized by next summer. That means, if Fox can get Gambit into production by February, even though it will be close, it would still end up seeing the light of day even after Disney takes over. Whether or not the folks at Marvel Studios like the idea is another thing entirely, but there are a lot of people who have poured a lot into Gambit and they know it won’t happen once the Mouse House reign begins. It’s a now or never situation. This, for the time being, shouldn’t be taken as something that is definitely happening. Gambit has had its release date moved and production timetable shifted quite a few times already. So it’s easy to imagine that things will fall apart once more. But for those wanting to see Channing Tatum’s take on the popular X-Men character, there is still hope. We’ll be sure to keep you up to date as more details on the project are made available. This news was first reported by Geeks Worldwide.